There’s a moment, in the dark, wanted to talk ‘til I sunk. A sketchwork glow. A patchwork quote. A skeptic overdosing on the tips. Careful, I might fall in love with the shipwreck. I want. I want. I want it at the creases where the please starts leaking spring water. I will start from the matchstick and capture it, every inch. I will redefine our kisses in skittish, jump from the rim. And read to you read to you read to you. I’ll explain later. Too busy. I’m not shy, I guess, it’s just the butterflies, they’re eating me alive. All of a sudden, I’m clingy. I caught myself. Usually intimacy creates it, this time—I blame the butterflies. So what happened you ask? O, besides subtleties? O besides someone that knows how to play the push me once on the swing and let me flap my legs for a bit on my own, then come back and push me slightly—then run when I say “again!” He slips off, then pops up behind me when I’m least expecting it-game. See, it’s the same but quite different. Did I know about it until it hit me? Maybe once or twice before, but it’s very very different. Butterflies are more like dragonflies when you’re an adult. Like the bigger the elephant the harder it falls, maybe? “Grrrrrrrrl, I know, I know! I know right?! Right!” I continued on explaining to her that I know it’s early, we just met, I know like only a few weeks but I feel (giggles) clingy. Like. I’m human. My emotions are carbonated lava and he likes to kiss five different places on my forehead and then doze off across the bed and pretend I’m not there. Subtlety, S-O-L-D. Like rose gold. Like a garage sale, everything must go. I’m smack dab in the middle of confession 101 when my son runs full speed into the bathroom and vehemently bangs and shakes the shower sliding door. I freak the hell out, slip the soap, slop the towel and the cordless phone slides jollily down into the shower water as I fancy a jump-hop-scream AaAAah of terror I’d be electrocuted back into my good sense anyway. I did all of this magicianship stark naked, mind you. Today I spent $20 replacing the cordless phone battery after having dried it out inside of a plastic bag with a hair dryer like my good ole google-friends told me to. And yes, and yet, I’m still fighting this, example #2: The other night, I swore North, South, East, West, and upside down that I didn’t like holding hands. It’s funny as soon as you draw a line how much you yearn to blur it. Now all I want is for him to grab for my hand. I want him to take off work and play in the sandbox, pink sand of course. I want him to hold my hand and hold it while he tells me the biggest storybook story with the most enormous imagination. Queue artful silence I like. And yet, I would very much like him to keep holding my hand. And I guess that makes me clingy. Or irksome. Or what I’d coin as smothersome from some folks in my past in which I shall not name. Ah, the other foot is so hard to wear. I suppose I’d rather be slightly ornamental—sniffing him in like the tip of a permanent marker. Because what does it say about someone who doesn’t have an ounce of overdose in their blood? Someone without that race in their genetic make-up? That she sticks to no one? Or that she sticks to everyone? Or that she’s unemployable? I sorta dig long-term. Sigh SMH again. He got really quiet the other night, and I pouted, well, because, well, you see actually … I just wanted his undivided attention. How absolutely OUT of character of me. 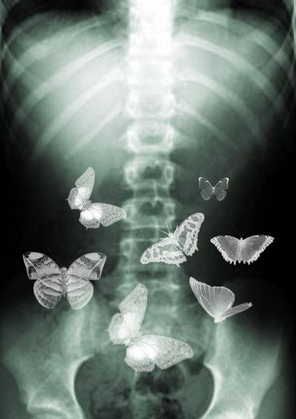 I guess it’s just the butterflies, they’re eating me alive.